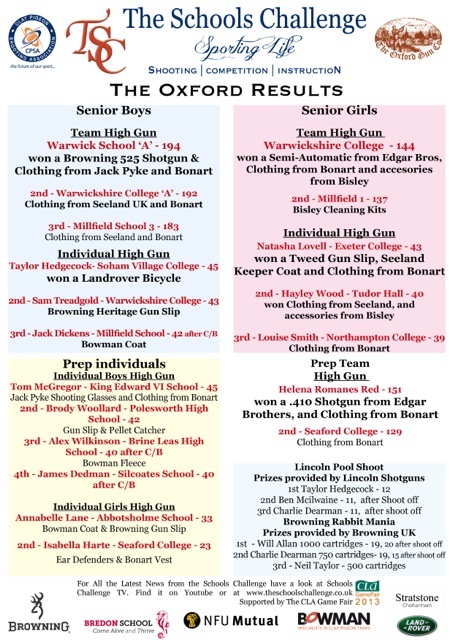 The Oxford Schools Challenge results are now available. Well done to all competitors - a wonderful day. We'd like to take this opportunity to thank you all for making it a great start to The Schools Challenge 2013. Thank you to all the Schools that took part!